After Cognitive Radio another promising area of research is Wireless Sensor Network ( WSN ). Research scholars are addressing their work in the area of Physical Layer, Data Link Layer, Network Layer, Transport layer and Application Layer but however the major focus of contribution is in the area of Routing Techniques of WSN. This aspect of research motivates young graduates and post graduate who wants to pursue his/her research in Wireless Sensor Network to gain knowledge about Sensor Nodes, Different Topologies, Configuring Nodes as Routers, Collection, and Analysis of Data from different nodes etc.. Deployment of Wireless Sensor Network has already popularized and lead to offer SMART Homes, Offices, Agriculture Land, City, Traffic, Industry and many other applications like Bio-Medical for health monitoring, Military for surveillance are also engaging Wireless Sensor Network. Sensors-Measuring & Monitoring-Anywhere-Real-Time (SMART) applications are having a common objective to map data to take analysis based decisions. Wireless Sensor Network is having an important role in this category of applications.Wireless Sensors are used to monitor City, Process, Agriculture land for various parameters like Temperature, Humidity, Pollution, Flow, Pressure, Motion and many other parameters and operate the desired system into specified parameters. Sensors having Wireless Communication with each other to transfer and share the knowledge based on mapped data of particular region forms a Wireless Sensor Network. The backbone of this WSN is Zigbee protocol operating in ISM Band of 2.3 to 3 GHz and supports Adhoc Networking. 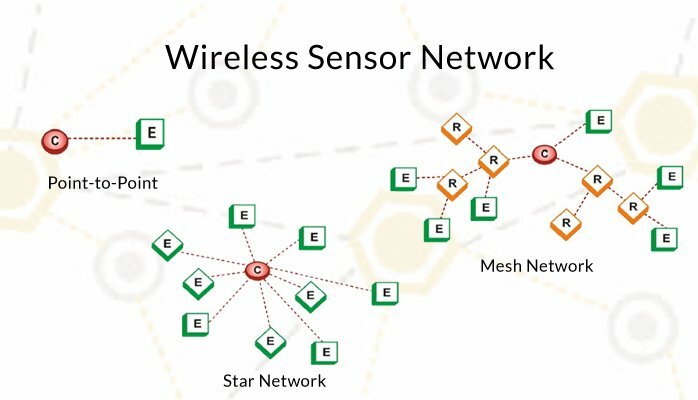 WSN supports different topologies like Star, Bus, Ring and Mesh Topology same as any other communication network supports. 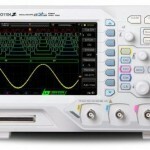 Users who are planning to start work in this field need to know the Zigbee Protocol,Sensor Nodes(MOTES),Different Topologies,Gateway through which network communicates with external world may be micro-controller ( 89C51, PIC, ARM, Arduino), Configuration of nodes as node, Router, and software like NS2, MATLAB etc..
Scientech 2311W Wireless Sensor Network TechBook addresses each and every aspect and common need of any research scholar, young graduate or an individual learner in Wireless Sensor Network. This product has various sensor nodes and a user can configure different nodes and deploy different topologies of the network to understand the working of each topology, Adhoc networking etc…It covers peer to peer, star and Mesh topology. It comes with own software that helps to map data of each sensor node.It also covers and helps the user to understand various end device parameters like Sleep Period, Sensor Scan Time, PAN ID, Baud Rate which are very important while designing a Wireless Sensor Network. The Wireless Sensor Network can be interfaced with popular Micro-controller 9C51, PIC Microcontroller, ARM, Arduino, Raspberry PI and is compatible with MATLAB and LabView Software.